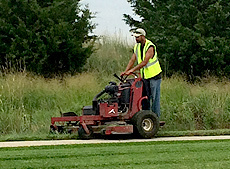 When you see our crews maintaining your lawn, the work started long before we arrived. Having met with you to discuss your expectations and “walking” the property, we developed your own custom lawn management plan. 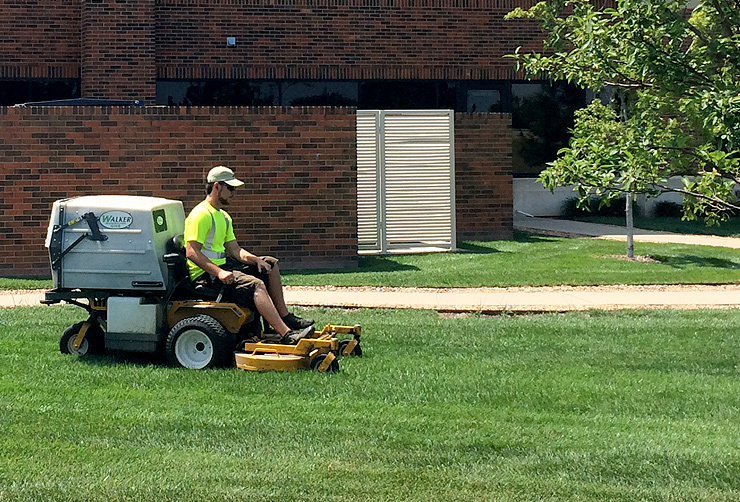 Before we reached your residence, our maintenance team inspected all our equipment, from blades to blowers. Whether it’s your home on the cul-de-sac, or the entrance to your company, when we’re on your property, we’re all business. 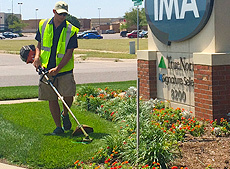 With 20 years of continually redefining Wichita lawn services, our mowing roots run deep. Most just mow. At Suburban, we manage. Alternating patterns is just the start. At Suburban, we don’t stop there. 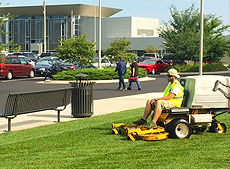 At Suburban, there’s more to mowing than meets the eye. It’s not enough just to change directions. Even companies that do nothing but mow fail to practice this basic approach. At Suburban, we take it a step further. Our experienced crew leaders and account managers take into consideration several key variables that are unique to each property, such as weather, grass height, layout, terrain, and current conditions – each and every visit.